Widely known as one of New York State's premier ski destinations, Gore Mountain was founded in 1964 as an exciting new winter attraction in North Creek, NY. While not the first ski area in that region of the Adirondacks, Gore has seen significant growth over the years and transformed into a four-season recreational hotspot. Despite its name, the modern day Gore Mountain ski area isn't actually the first "Gore." In 1934, the adjacent North Creek Ski Bowl opened for skiers and helped pave the way for skiing in the Gore Mountain Region. 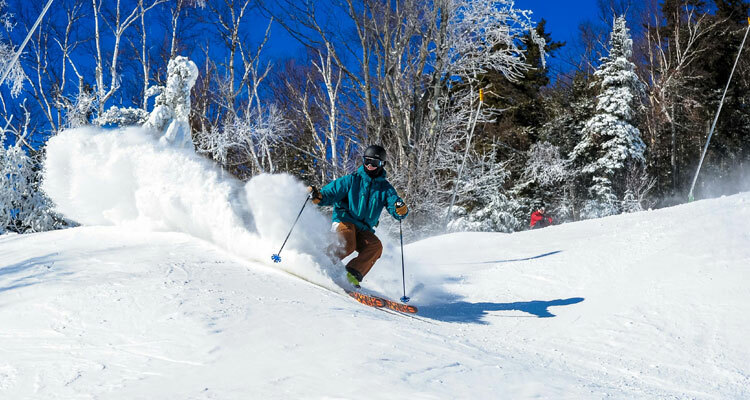 Its nickname is "Old Gore," while Gore Mountain is recognized as "New Gore." As the story goes, the North Creek Ski Bowl was created by Schenectady native Vincent Schaefer, who was interested in building a place where he and fellow skiers could ski together. After exploring the Adirondacks, he decided North Creek was the best choice over Wilmington. 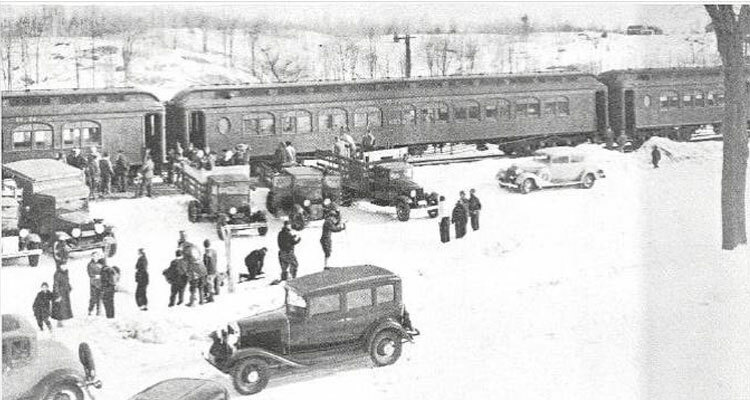 Skiing in North Creek kicked off with the arrival of snow trains from Schenectady in the winter of 1934, which brought skiers up north for a day on the slopes. As the site grew in popularity, Vincent Schaefer's brother, Carl Schaefer, chose the Ski Bowl as the site of New York State's first ski tow. While the ski area expanded from the 1940s-1960s, New York State saw an opportunity to provide further developments in the Gore Mountain Region. Since the Ski Bowl was not on state-owned land, their focus was on Gore Mountain itself. After acquiring the necessary land around the peak, the state began ski trail work at Gore in the early 1960s. In 1964, Gore Mountain opened and featured downhill trails and three ski lifts: a j-bar, a t-bar, and a double chair. Thanks to the successful opening and growing number of skiers, new projects were soon underway at Gore. 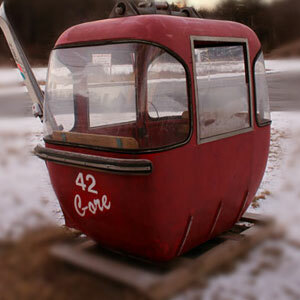 Just three years later, New York State installed their first gondola at the site - the iconic old red gondola. As word about Gore Mountain spread in the following years, it continued to see increased activity, and soon enough, became North Creek's premier ski destination. From 1976-1996, multiple changes occurred at the mountain, including the installation of a snowmaking system that used the Hudson River as a water source and the "Adirondack Express," a high speed triple lift. Behind the scenes, management at Gore would see even more major changes. In 1980, New York State created the Olympic Regional Development Authority (ORDA) to manage the Lake Placid Olympic facilities during the Winter Olympics. After the event concluded, ORDA's next role was to find the best way to utilize the state's sports activity facilities year round for visitors to enjoy, thereby maximizing the revenue opportunities. As such, management of Gore Mountain was transferred to ORDA so the organization could focus on working with both local and state organizations to further upgrade and develop the ski resort's facilities. 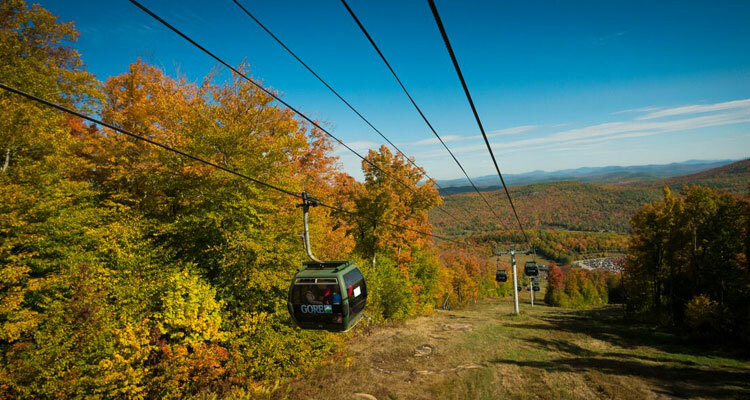 Some of these new developments included trails, a replacement for the old red gondola, and a Topridge Area on nearby Bear Mountain, which expanded the Gore Mountain experience. One of ORDA's biggest plans began to take shape in 2003 when they worked with the Town of Johnsburg to re-open the North Creek Ski Bowl for snow tubing. While Gore managed the snow tubing in winter, the town took control during the warmer months when the Ski Bowl operated as a recreational park. Snow tubing was the first step in a greater plan to connect Old Gore (the Ski Bowl) to New Gore (Gore Mountain), which would give skiers complete access to the area's vast network of trails. Snow tubing at the Ski Bowl brought attention back to the site and would help raise interest in redevelopment. In 2005, in collaboration with the New York State Department of Environmental Conservation, ORDA prepared a Gore Unit Management Plan which discussed the potential impacts of constructing an Interconnect between Old and New Gore. This would be done through the addition of more ski trails and a new lift. As discussions about this Interconnect continued, Gore continued their work at the Ski Bowl in advance. In 2007, the "Village Chair," an aerial chairlift, was installed at the site to open it up for day/night alpine skiing and snowboarding. Additionally, the Ski Bowl Lodge was rebuilt, cross-country ski trails were created, and as a whole, the Ski Bowl was becoming revitalized. A few years later in 2008, the Adirondack Park Agency (APA) approved plans for the Interconnect, and the project kicked off. After years of work, the Interconnect officially opened in 2011 upon the completion of the "Hudson Chair," a triple chair ski lift. This lift would carry skiers up from the base of the Ski Bowl to a trail network that ended at Gore Mountain, at last bringing the whole region together. Today, Gore Mountain has become one of the Northeast's most popular ski resorts. Featuring the most ski terrain in New York State, seven individual mountain areas, a fantastic snowmaking system, 27 different glades, and more, the Gore experience is one-of-a-kind in the U.S. While winter is their specialty, the site has evolved over the years and introduced a wide range of seasonal activities for residents and visitors to enjoy, such as hiking excursions, downhill mountain biking, an outdoor Adventure Village for the kids, scenic gondola rides, and other special events and activities. Not only that, but ORDA has taken advantage of modern day technology and turned Gore into an environmental-friendly recreational area. In 2016, they installed 14,589 ground-mounted solar panels that would allow the ski area to offset 85% of the mountain's energy use! That same year, Gore was awarded the esteemed Golden Eagle Award for Overall Environmental Excellence. Despite all of these activities at the ski resort, Gore isn't done expanding, and the site has many more plans in store to further improve their multi-season offerings.